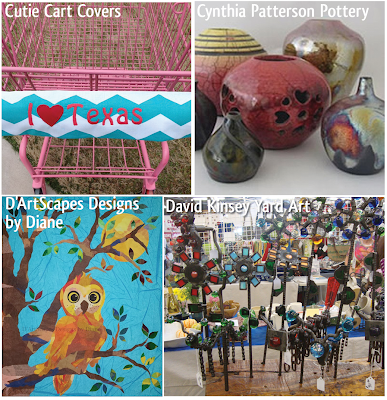 The following artisans can be found selling at our upcoming event, the Funky Finds Holiday Shopping Experience, to be held November 15th & 16th in Fort Worth, Texas! There will be over 120 artists, crafters, designers, & food makers selling at the FREE family AND pet-friendly event. We hope to see you there! Cutie Cart Covers - Sarah Brown is a stay at home mom with two boys who loves CRAFTS. Cynthia Patterson Pottery - Cynthia Patterson makes functional pottery with an eye toward the artistic. Her work is designed to be used and enjoyed every day. D'ArtScapes Designs by Diane - Diane Miller is an artist from Garland who creates collage art using tissue paper as her palette to illustrate whimsical views of life and nature. David Kinsey Yard Art - Durable, creative metal yard art decor! Deco Beading - Jessica Burns is a bead artist who designs all of her pieces from scratch. She never uses patterns making each piece truly one of a kind. Dirt and Glitter - A mother and daughter team that loves to design and create unique items for you, your home or office. Don't Forget to Feed Me Pet Food Bank - The mission of Don't Forget to Feed Me is to supply pet food to local food pantries in support of pet owners. By providing pet food for those in need during challenging financial times, DF2FM offers an option to surrendering, or worse, abandoning a family pet. DF2FM helps to ensure that no pet owner ever has to make the decision between stay or go. 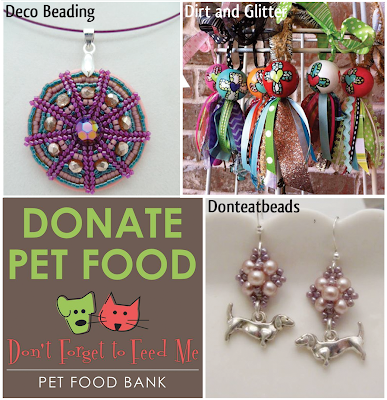 Donteatbeads - Danielle Murphy is passionate about animal rescue & creates accessories to fund her rescue & foster work. 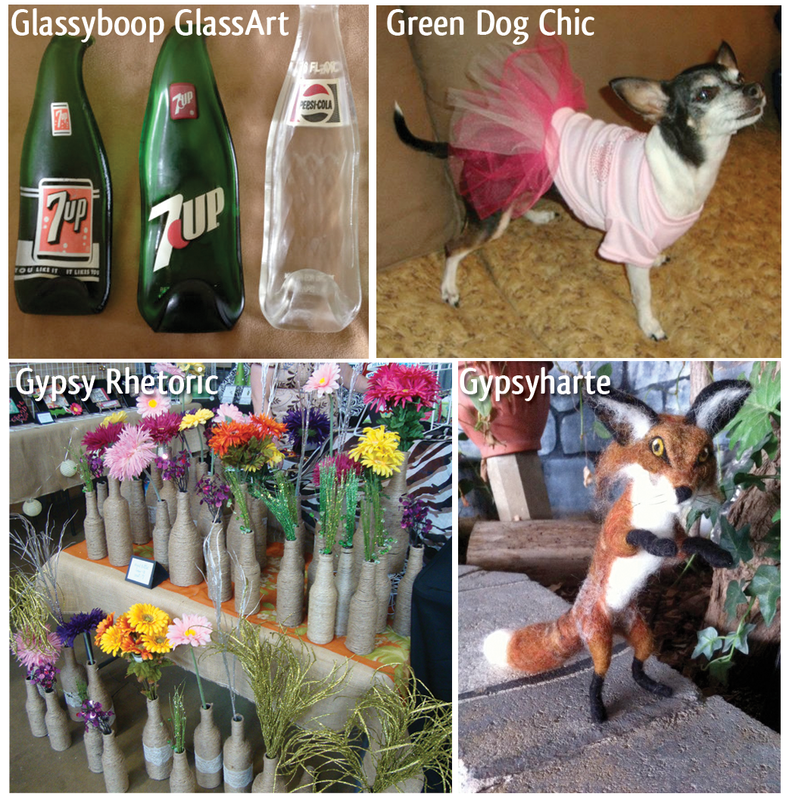 Dp-art Gallery - Diana Prickett has been painting since she was a child & started working with recycled items about 5 years ago. Dragonflies and Daisies - Sharon Davis loves creating & selling handmade baby items made out of fabric. Eagle Mountain Pottery - Sandy Tucker is passionate about art in all forms. She enjoys using clay to create both functional and artistic pieces that the viewer with be able to enjoy on a daily basis. ecoFashionistas - Sisters, Karla Schafer and Katrina Peebles, collaborate to create unique up-cycled products turning trash into treasure! 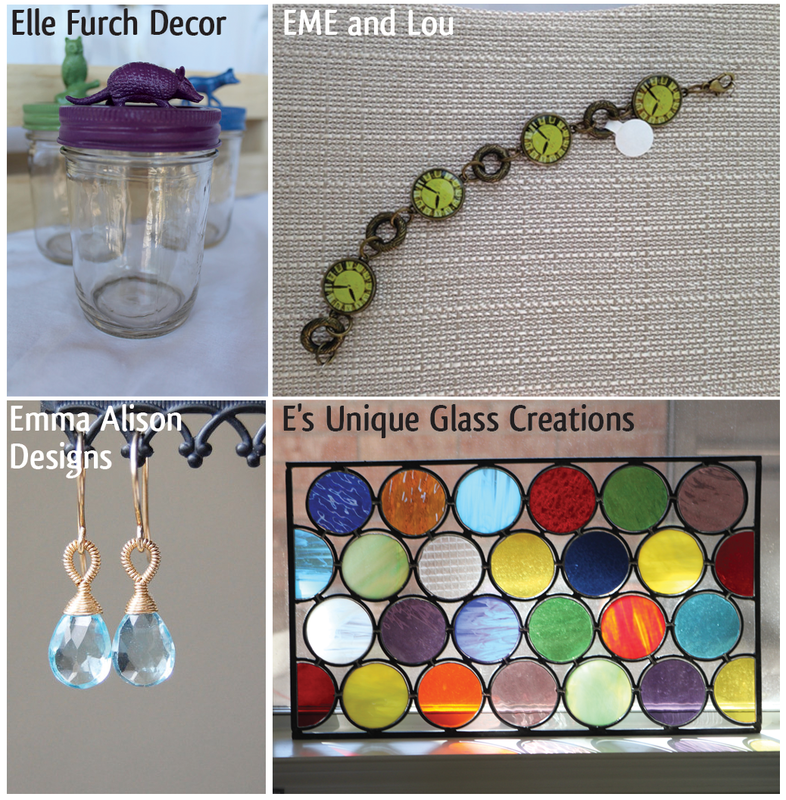 Elle Furch Decor - Lauren Furch strongly believes in recycling and does her best to provide a variety of glass products with customizable colors and accessories. EME and Lou - Elaine Ellington partnered with her children & grandchildren to create unique accessories. Emma Alison Designs - Heidy Henke has been making jewelry for nearly 15 years. Her jewelry tends to be delicate and feminine while showcasing natural gemstones. E's Unique Glass Creations - Eileen Horton is a glass art who loves creating unique decor! 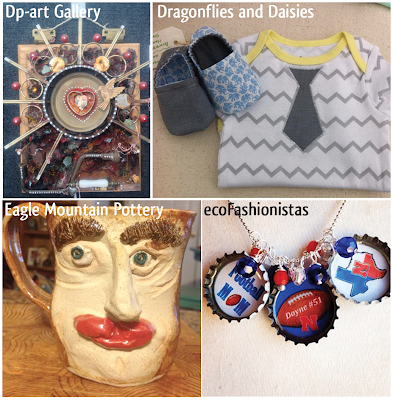 Forget Me Nots - Kristen Dinh, a student at UTA, has always been a crafter at heart and loves sharing her hobby with others. She began making soap when her younger sister needed a soap that was more sensitive on her skin. 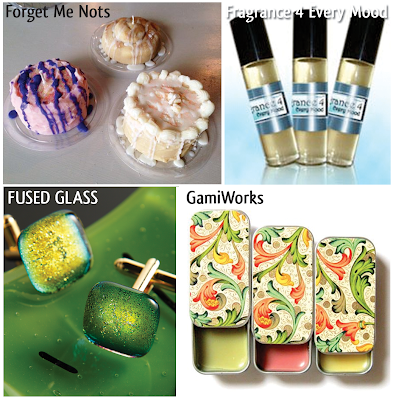 Fragrance 4 Every Mood - Jessica Perez creates designer type fragrances for men & women, as well as other bath & body products. FUSED GLASS - Christine Pincemin-Johnstone was born in France, lives in Texas, & creates new items using various techniques with fused glass. 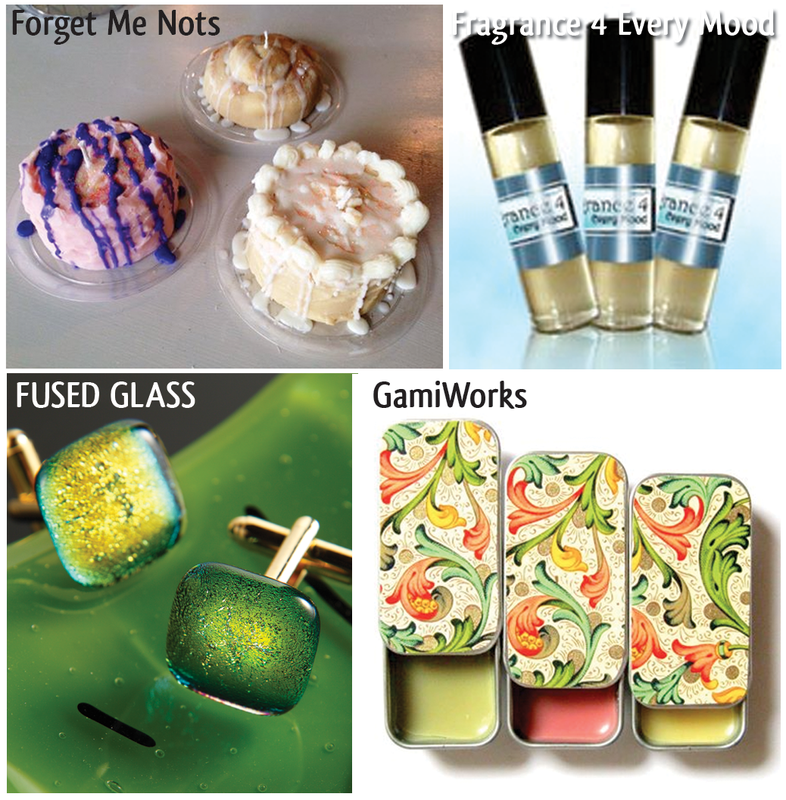 GamiWorks - Chiyogami Gifts + Accessories - Erin Sansoucy doesn't consider herself a girly-girl, but she does appreciate feminine and classic looks...never trendy. She loves to create a hodge-podge of things, keeping her mind and hands busy. Glassyboop GlassArt - Betty White is a glass artist specializing in functional glass items who has 30 years experience working with different glass mediums. Green Dog Chic - Lora Dougherty creates unique pet clothing & accessories using recycled materials, such as thifted prom & wedding dresses. 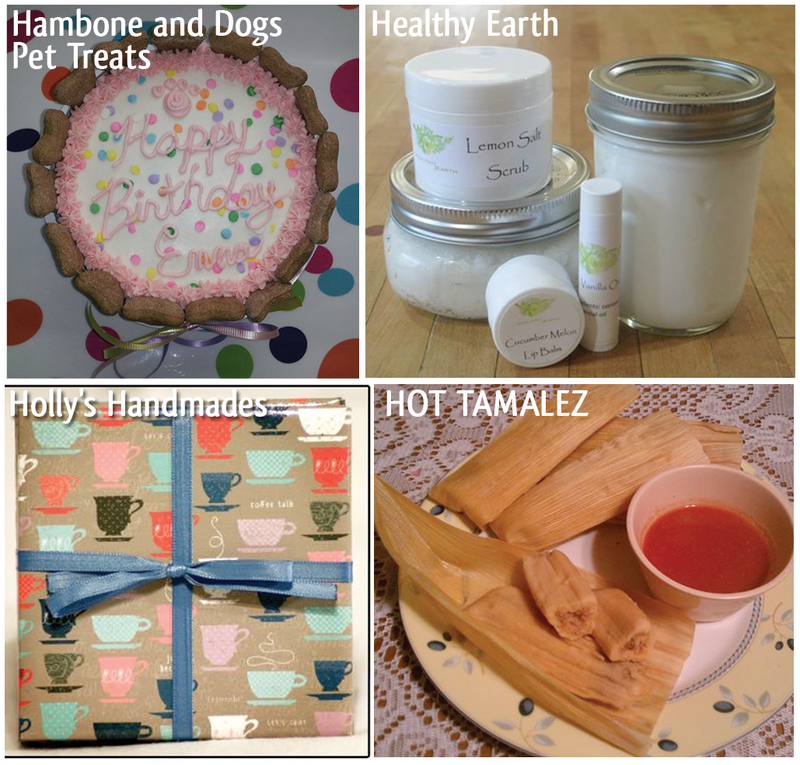 She donates a portion of all sales to local animal rescue groups. Gypsy Rhetoric - Kimberly Bacon is a crafty Texas girl who loves the Lord and is happiest when she's sitting in the middle of piles of craft paper, scissors and glue. Gypsyharte - Joyce Hazlerig has been creating art all her life. Her current passion is felting wool allowing her to take wool and fiber and shape and create it into something new and different. Hambone and Dogs Pet Treats - Creating high-quality pet cookies & treats using only human quality ingredients. Healthy Earth - Healthy Earth brings the people healthy ways to look and feel revitalized while nourishing the body with essential vitamins and minerals. Holly's Handmades - Holly Runyon enjoys unique crafts, including handmade drink coasters, tote bags, and more! No two items will be exactly the same! HOT TAMALEZ - Mary Samudio has been in the tamale business for 19 years. What began as a temporary job has gone continued long-term as a family-owned and operated business.